are the most affected by its deterioration. We must care for the well- being of our planet. 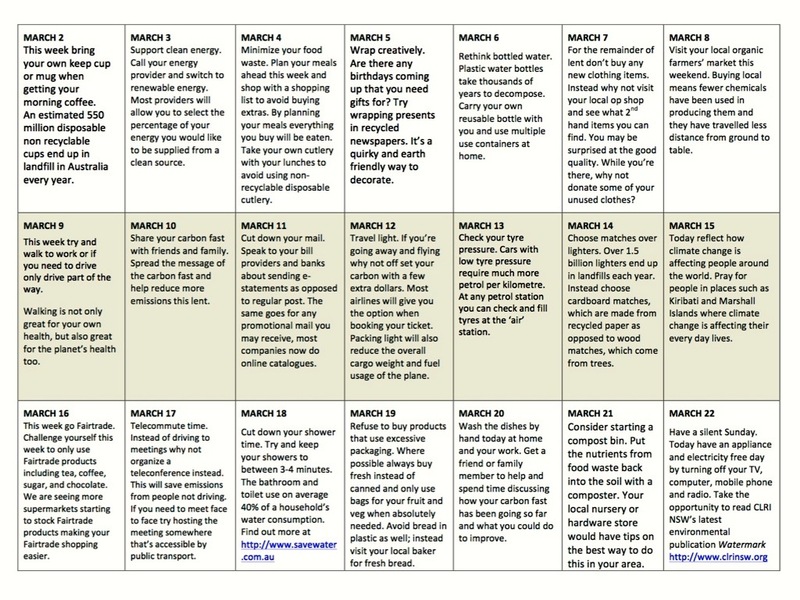 As we enter into the season of Lent, we offer this Lenten Carbon Fast Calendar shared by the Social Justice Committee of the Conference of Leaders of Religious Institutes in New South Wales (Australia). 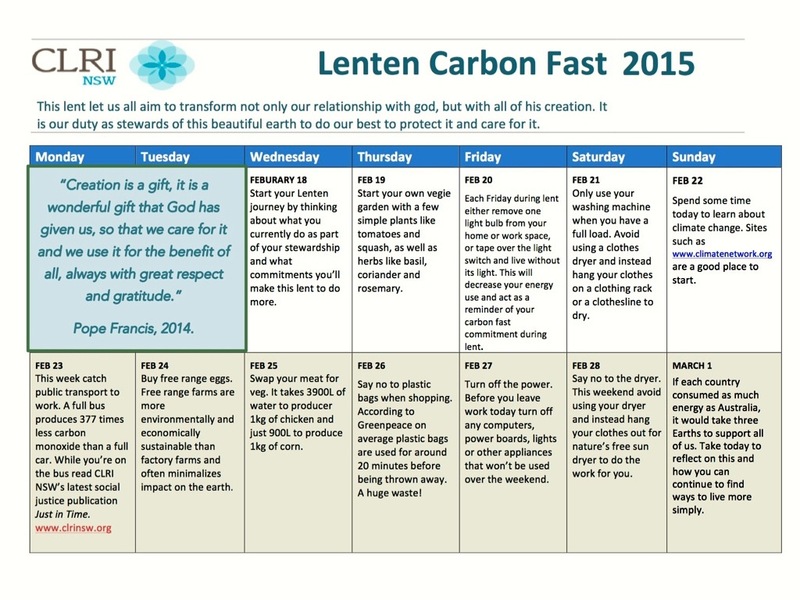 Given our different contexts and realities, we may want to design our own Lenten Calendars. This calendar is posted in its original text (and will not be translated). 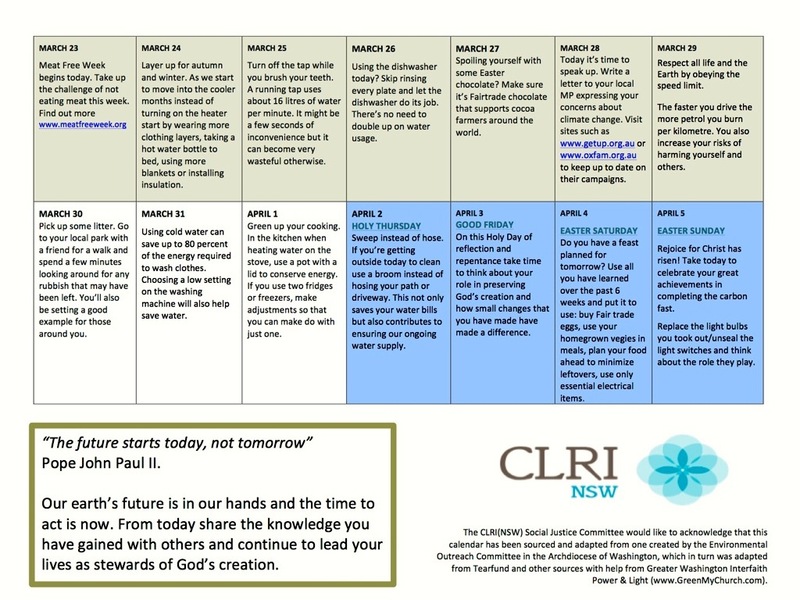 Thank you, Esmey Herscovitch rscj, our CLRI(NSW) Link, for helping us access and share this resource.